The new budget iBuddy Connect II tablet from Intex mobiles has been launched in India. The device is named as Intex i Buddy Connect II 3G and it has 3G calling capabilities and comes under the sub Rs. 10,000 segment. 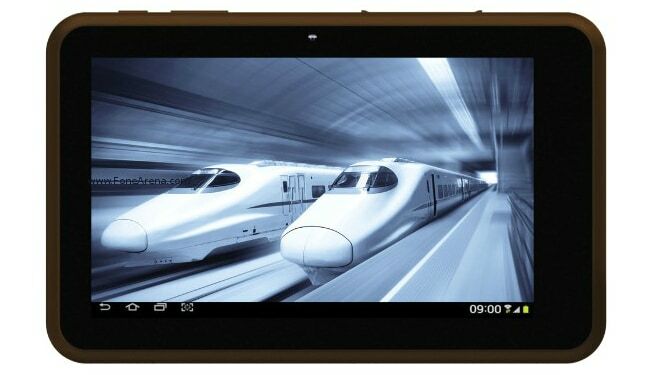 The tablet is currently available on online e-commerce retailer and it is currently being sold at INR 7,500. It is a successor to the tablet i-Buddy Connect 3G that was launched earlier this year for Rs. 9,990. Originally, the Intex i Buddy Connect II 3G price in India is paced at INR 8,450. The innovative tablet is equipped with smart applications like Office Suit PRO and even an Educlass app for kids. It also features with a host of popular apps and games like Facebook, Nimbuzz, Skype, Gtalk, Fruit Ninja, Moto Racing, Angry Birds and lot more. The Intex i Buddy Connect II 3G pictures are available on various online sites, check out for better information on this phone. With the launch of this tablet, the Intex mobile is aiming to win back some of the tablet market share it has lost over the past few years. Out of the box, the tablet runs on an Android 4.0.4 Ice Cream Sandwich and it may be interesting if the company has brought this tablet on Android 4.3 Jelly Bean as it has been rolled out. The Intex i Buddy Connect II 3G features with a 7-inch display has an 800 x 400 pixels resolution. Under the hood, this tablet runs on a dual-core 1.5 GHz cortex A5 processor which will definitely helps to boost up the performance. It is coupled with just 512MB RAM and it may not be good at viewing media files or gaming. The gadget has 4GB built-in storage, expandable to 32GB via microSD card support. The company claims that the device supports dual cameras for video conferencing. The handset is packed with a 2 megapixel rear camera and a front VGA camera for self portrait. The device has connectivity features like 3G calling, EDGE and Wi-Fi. The tablet is powered by a 3000 mAh battery that claims to deliver 300 hours of standby time, 5 to 6 hours browsing time with Wi-Fi and 5 hours talk-time. It is also preloaded with Office Suit PRO for the working professional and an Educlass app for kids. Besides these features, the device also has Wi-Fi and 3G dongle support for internet connectivity. As we know, the smart handset comes with SIM calling function, so you can use the SIM to access 3G network. Finally, the tablet will be competing against the likes of Swipe Halo Value and Celkon CT910+ HD tablet which comes with similar features but better OS version. Intex launched Aqua Swadesh carries good set of features in affordable phone segment.